LATEST information reaching our news desk today, is that the National Examinations Council (NECO) management board, has just released the 2015 June/July SSCE (INTERNAL) examination timetable. Using this platform, the Dailyschoolnews Nigeria team, wishes to notify all Senior Secondary School students, who are qualified and eligible to take part in the examination, that the examination table is out, and they can start their preparation! We would also love to notify all National Examinations Council (NECO) Candidates, who have already registered or are yet to register for the 2015 June/July NECO SSCE internal, should please, ensure and take note, that they will be sitting for any of the seventy-six subjects. Please take note, that the examination has been schedule to commence, starting from the 21st of May 21st and will end on the 10th of July, 2015. Do you want to download the 2015 NECO June/July Timetable? See below for more details. 6121 Paper I: Practical – Machine Wood-working 3hrs Council. TAKE NOTE THAT PRACTICAL IN THE SCIENCES, STENOGRAPHY, COMPUTER STUDIES AND DATA PROCESSING SHOULD BE IN SETS WHERE THE NUMBER OF CANDIDATES IS LARGE AND EQUIPMENT CANNOT GO ROUND. WHILE VISUAL ART PAPER IV [CREATIVE DESIGN] , HAS BEEN MADE MANDATORY AND SHOULD BE GIVEN TO CANDIDATES AT LEAST ONE WEEK, WHILE WELDING AND FABRICATION, ENGINEERING CRAFT PRACTICE THREE WEEKS BEFORE THE EXAMINATION DAY. NECO STRONGLY PROHIBITED GSM INTO THE EXAMINATION HALL IS PROHIBITED. 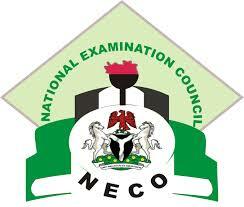 ALL PARTICIPATING CANDIDATES SHOULD NOTE THAT THE USE OF SCIENTIFIC CALCULATOR IS NOT ALLOWED BY THE NECO BOARD. WHILE THE NECO BOARD HAS ALSO APPROVED THAT THE ALBINOS AND BLIND CANDIDATES ARE TO BE GIVEN 30 MINUTES EXTRA TIME ACROSS ALL SUBJECTS THEY CHOOSE.